A Louisiana State University track and field athlete came home on break excited to introduce her uncle to the liquid multivitamin that her team was using as a nutritional boost. Knowing he needed more vitamins and minerals than he was receiving from his diet, he also begin incorporating the multivitamin into his daily life. After seeing a boost in his energy and health, he got his friend and business partner hooked too, and the rest is history. They left the financial industry, excited about a supplement they believed in and the ability to run a company to their ethical standards. 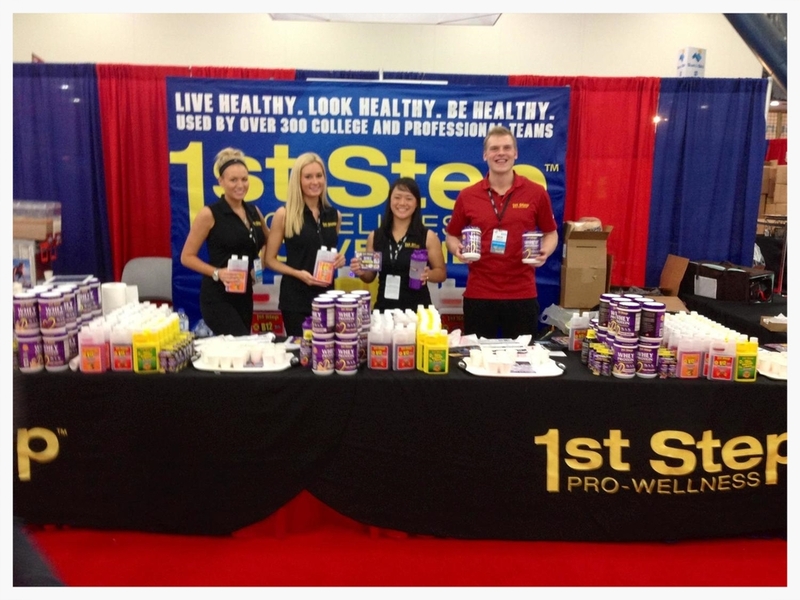 A decade later, 1st Step Pro-Wellness has developed two lines and seven supplements that over 300 university and college athletic departments, countless professional and Olympic teams trust and depend on to help fuel their bodies. Not only do we believe in creating and providing only the highest quality nutritional supplements, we believe that as a company, we should operate with honesty and integrity and be a blessing to others. Therefore, we are committed to setting aside portions of our proceeds for those who either can’t afford regular supplementation or would not otherwise have access to supplements through various charitable organizations such as Vitamin Angels, Feed the Children and Vitamin Relief USA. You can feel good knowing proceeds from your purchase of 1st Step Pro-Wellness supplements go to improving the health and wellness of children around the world. Feel Your Body Performing at it's Best. We believe that our continued innovation is proof that when values are aligned with action, great things can happen. A commitment to help improving people's health, one person at a time; all of our product development is grounded in scientific research guaranteed by active participation with leading experts, such as nutritionists, dietitians, and renowned strength and conditioning coaches. We adhere to the most stringent regulatory requirements and the highest ethical standards. Our manufacturing facilities are state-of-the-art, located in Dallas, Texas and Tampa, Florida, with complete Quality Assurance and Quality Control systems and processes, adhering to cGMP (Certified Good Manufacturing Practices) and complying with USP 29 standards.